In a Chapter 13, the debtor has to go through a three to five year repayment plan before getting a discharge. Some people have to file a Chapter 13 because their income is too high for a Chapter 7. Other people may want to file a Chapter 13 it allows more options than a Chapter 7 – for example, it can save a house for foreclosure by allowing a debtor to catch up on a mortgage over five years, it can consolidate tax debt with other bills and it can make car payments more affordable. If a debtor wants to keep a house and they are behind on the payments, the back payments must be made within five years. Car loans must be included in a repayment plan (though car leases are not). All back tax debt has to be paid off in a Chapter 13, though this may only apply to taxes owed from the past three years. Back child support and spousal maintenance must be paid off within five years. Secured debts, such as car loans, and priority unsecured debts, such as taxes, are paid first in the plan. The last debts in line to be paid are the non-priority unsecured debts, such as credit card and medical debt. Non-priority unsecured debts can be paid anywhere between 0 percent and 100 percent, depending on how much the debtor can afford. Sometimes non-priority unsecured debt gets paid a percentage in the Chapter 13 plan based on how much they would receive in a Chapter 7 liquidation. Some people file a Chapter 13 to be able to keep property that would have been sold in a Chapter 7. As soon as a Chapter 13 is filed, all debt collection stops. 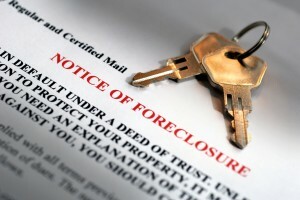 Foreclosures stop and the mortgage company has to deal with the bankruptcy court at that point. Car repossessions can not take place after the case is filed. Garnishments stop. Because garnishments take 25 percent of net pay, a Chapter 13 plan is a much better option than garnishment even if it requires a 100 percent payment to creditors. About a month after the bankruptcy is filed, the debtor attends a meeting of creditors with his or her attorney. The debtor meets with a trustee who is appointed to administer the case. The trustee takes monthly payments from the debtor and divides them up to pay creditors according to the Chapter 13 plan. At the meeting of creditors, the trustee examines the plan and other bankruptcy documents. The trustee may have some recommendations for changing the proposed plan and can object to the case if the debtor does not follow their recommendations. Creditors rarely appear at this meeting but may file an objection to the case. The final decision on whether to approve, or confirm, the bankruptcy plan is made by a bankruptcy judge. Though the trustee carries a lot of weight with the bankruptcy judge, a skillful attorney can often persuade the bankruptcy judge to follow their proposed plan instead of the trustee’s recommendation. Of course, an experienced attorney will know how the judge is likely to rule in most cases. The meeting of creditors is usually the only hearing the debtor has to attend. The confirmation hearing, where the plan is considered by the bankruptcy judge, usually takes place without the debtor being present. In fact, it usually does not take place at all because most issues can be resolved outside of court. Once the plan is confirmed, the debtor just continues to make the payments for up to five years then receives a discharge. In some cases, a debtor can get out of bankruptcy early by paying off the plan but to discharge any unsecured debt without payment, the plan has to last at least three years. If there is a change of circumstances, the debtor can ask the court to reduce payments as long as the plan still works. A Chapter 13 can be converted to a Chapter 7 as well. sess the car if you don’t file a reaffirmation agreement even if you are current. Many car finance companies will not repossess the car as long as you are current even if you did not sign a reaffirmation agreement.